Riko Rocket SSDC Products | Taking Scalextric Digital to the next level. Hi, welcome to the mad mad world of Digital Scalextric! I am an aerospace electronics engineer and I have been involved in modifying digital Scalextric from it’s launch – repairs, improvements, adding more and more functionality. 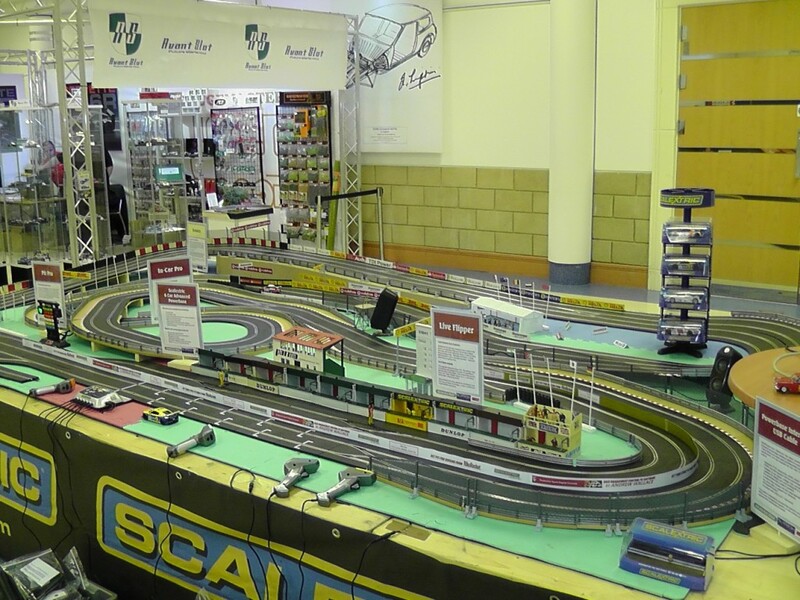 I have been involved in helping Scalextric with new digital products from design to final testing of systems. The modifications to improve functionality we have called “Pro” so you will see a number of things with this tag that we have developed. Standard Scalextric digital now includes all the enhancements of that we added with the upgrade of code and hardware to the first 6 car powerbase (C7030) that we called PB-Pro – analogue mode, high power, 2 way computer interaction, yellow flag, kiddies mode, power limiting, throttle calibration and many more. Ian rewrote the car chip code to add loads of features, we call this In Car Pro. I have made DPR chips with a new lights interface to make his code available to use more easily on new DPR cars. Adds brake lights, switchable headlights, anti-run away, variable brakes, traction control, and smoother response. You can DIY on the older chips if you have a chip burner. New changes to the straight lane changers to add anti-collision software, auto-overtake if you are bumper rubbing, and selection of a racing line so that the changer will try and exit you into the best lane, this is called XLC-Pro. There are mods for the straight lane changer to avoid shorting causing system problems, this mod has been integrated into Scalextric’s latest changers. In the early days I was a core member of the team that recoded the old C7030 to make it more useable and add loads of features. I also did a lot of work on master-slave mod to increase the power of the C7030 before the launch of PB-Pro SH using a 45 Amp Robot Wars drive board integrated inside the C7030 housing… Stonking! Ade has made a light gantry using an Arduino board inside an old Scalextric gantry. Super cool! I make cables for Pit-Pro, C7030, PB-Pro, C7042 standard and C7042 with LEDs. I make DPR chips with lights, I make Pit-Pros, I do PB-Pro conversions, and I will be upgrading straight lanechangers to XLC-Pro.